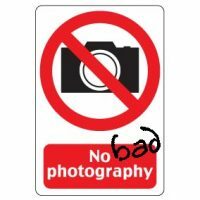 I’m on a roll after writing the 7 Deadly House-Selling Sins, so this week I’m laying down my 7 Hideous Property Photography Sins. 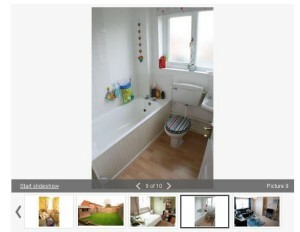 Pleeeease make sure your house listing photos don’t commit any of these horrors! If you are shocked and horrified to find that they do, head on over to the Ultimate KickStart page where you can find out how to get seriously amazing professional photography for WAY less than you’d think. 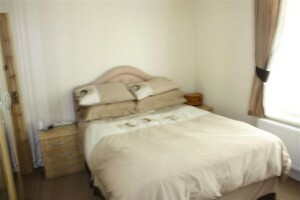 Property photography is an art, and it has a very specific purpose. It’s really important that the photos used to advertise your house for sale are attractive, enticing, and a true representation of the space. Poor photos will seriously damage your chances of a successful sale. 1: Blurry, out of focus or low resolution images – this just isn’t good enough. If your agent has put sub-standard photos on the internet to advertise your house, be a pain in their side until they update them with better photos, or sack them as soon as you can. What do you reckon people will think when they see a blurry photo? Whatever it is, it’ll be negative, and that’s a hurdle you just don’t need to put in your path. Do everything you can to make that first online viewing experience a positive one. 2: Glare – it’s good to have lots of natural light for your interior photos, but too much glare coming in the windows from the sun just bleaches out the colour and the detail from the image. It’s entirely likely that the best time to take the exterior shot will be different to the best time for taking the interior images, but a good agent will know that and will make two or more trips as necessary. It’s just a bed, not a room! 3: Photographing the furniture, not the room – it can be difficult for us mere amateurs to capture a room properly, and some agents end up focussing their images on what is IN the room, instead of trying to photograph the room itself. 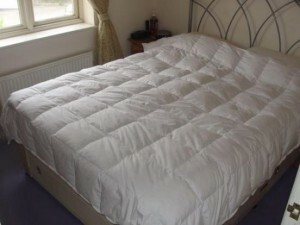 Seeing a picture of a double bed or a sofa doesn’t really tell us what the room looks like or how big it really is. Of course the professionals are the best at getting this right, but sometimes it’s about stepping out of the room a little to get a better view of the room itself. See how much space is wasted and how much bigger the landscape images are? 4: Portrait photos – Rightmove shows all photos in landscape orientation, so any photos taken in portrait will be shrunk to fit in the landscape window, meaning that they’ll be smaller and you won’t be able to see as much detail. 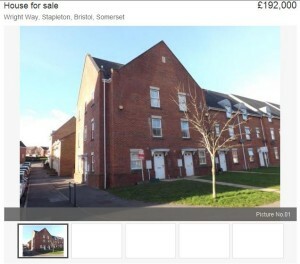 Estate agents’ own websites may be able to show portrait photos perfectly well, but in that case there should be a separate set of pictures used for the upload to Rightmove. If that’s not possible, then I’d recommend using landscape throughout, because I would think that Rightmove gets a lot more search traffic than individual estate agency websites so it’s more important to get it right on there. You can always take the photo in landscape and then crop out the sides of the photo that you don’t want. Are you likely to be particularly interested in this place when you’ve got other options? 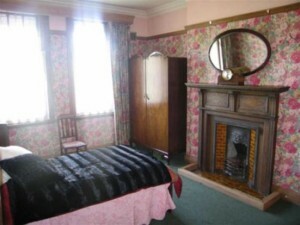 This listing has another sin in it – an Agency Logo as a house photo? NOOOOOOOO! 6: Not putting floorplans in the listing as photos – ok it’s not technically a photography sin, but my opinion is that floorplans REALLY help viewers to imagine how the space is laid out. 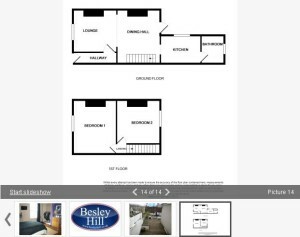 Not having floorplans at all is definitely a sin, but I think that adding them into the photos section as well as the dedicated floorplan area on Rightmove is a great idea. What’s the one section of a property listing that you KNOW will get seen? The photos. So put the floorplans in there too. 7: And finally, any photos with the following in them: the agent reflected in the mirror or another shiny surface; cats, dogs, in fact any animals at all, followed by any people at all; toilets with the lid up, sink plungers, ‘do not use’ hazard tape, wheelie bins, the TV on, and spooky stuffed toys. See my Shocking Shots album on Facebook for many of these examples, including the photo that’s getting a lot of interest on Twitter today!! Want me to review your house listing online? For a short time only I’m offering Online Listing Reviews for just £14.85. Order here quick!